Social Media Marketing: Online Ratings and Reviews vs. Paid Influencers | ASTRALCOM - Content Strategy, Conversion Marketing and Customer Acquisition. Should I Include Paid Influencers In My Marketing Spend? In today’s world, selling anything without trustworthy, quality reviews is a losing proposition. For most customers, online reviews and comments are a primary factor in their purchasing decision. It is unlikely that a customer will make a purchase without first going online. They want to see the experience others have had with your product. This process could easily lead them to find an alternative if ratings and reviews aren’t readily accessible. But there’s another side to this whole ratings and reviews thing. In addition to making product reviews and ratings easily accessible, it can be helpful to work with an influencer. 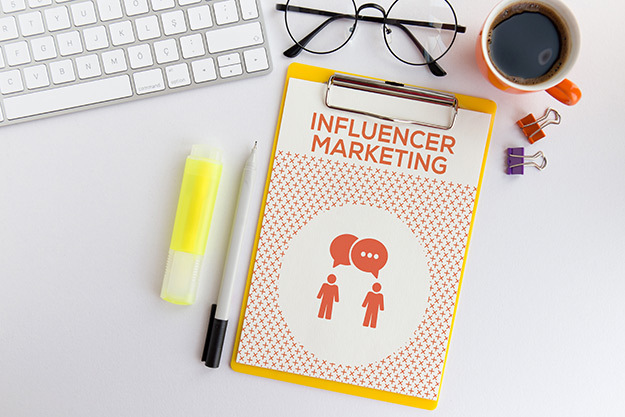 An influencer who truly reflects your brand can provide an instant connection to your target audience. In fact, this type of marketing has become nearly a multi-billion-dollar industry. This growth is the reason why more companies are taking advantage of influencers to promote their brands. Social media influencers typically have loyal followers who trust their reviews. As such, they are much more likely to engage with influencer-recommended brands than they would be with more traditional marketing approaches. Oftentimes, social media influencers impart a sense of authenticity and credibility. This can make their endorsement more meaningful than a traditional A-List celebrity. Their fan bases, though perhaps not as vast, are typically more attuned to a targeted consumer. An important consideration for starting a paid influencer campaign is choosing quality over quantity. It is recommended to generally avoid making small social media marketing spends across numerous influencers. Instead, it often helps to build a strong relationship with one or two influencers. These are more likely to become good ambassadors for your brand. Frequently, when a platform becomes flooded with endorsements from influencers for one product, the result can seem impersonal. This feels more like a traditional mass-media campaign than a review from a trusted individual. Courtney Eckerle of The MarketingSherpa Blog takes a deep look at connecting with consumers via paid influencers. Check out her well-written blog post. Social media is a powerful advertising platform and is essential in creating a loyal audience. Integrating a paid influencer element into the mix can speed-up awareness and demand for a product or service. If you’re looking to start a social media and/or paid influencer advertising campaign, reach out today and we’ll help you get on the right track.